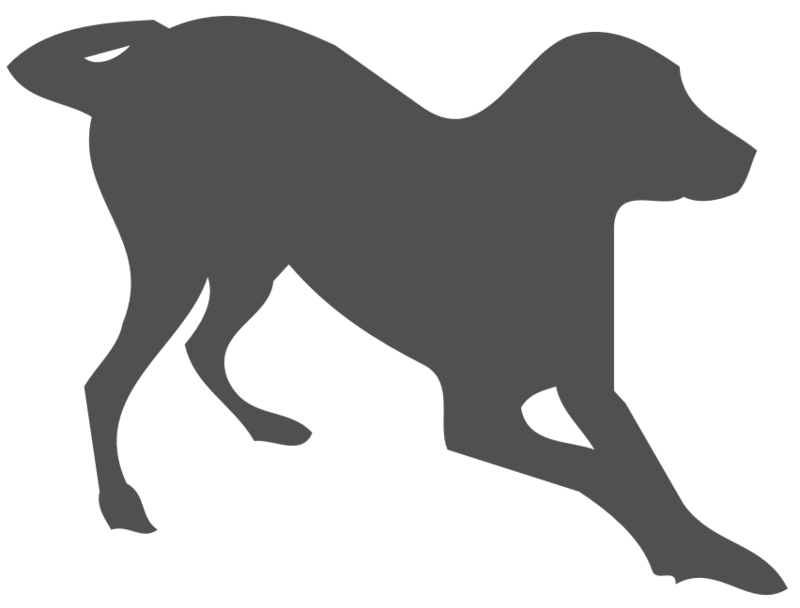 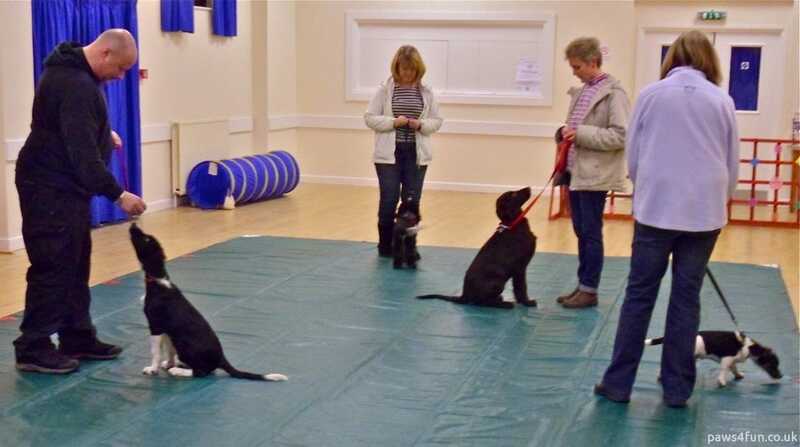 Basic obedience and good manners for young dogs. 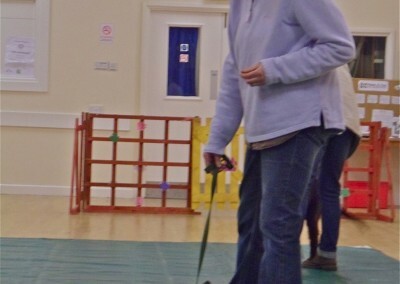 An obedient and well-mannered dog, that is socially acceptable anywhere, is a joy to own. 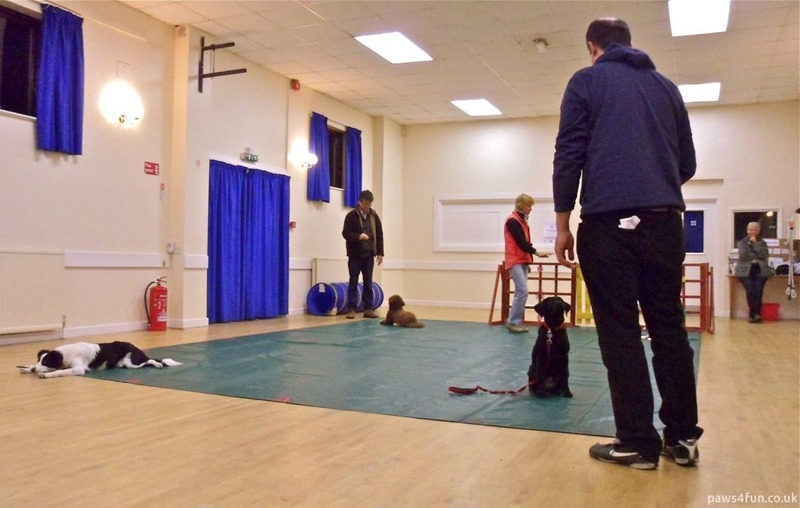 Whether you’re looking to build upon previous puppy lessons or are new to training, this course can help to set and keep your dog on the right path. 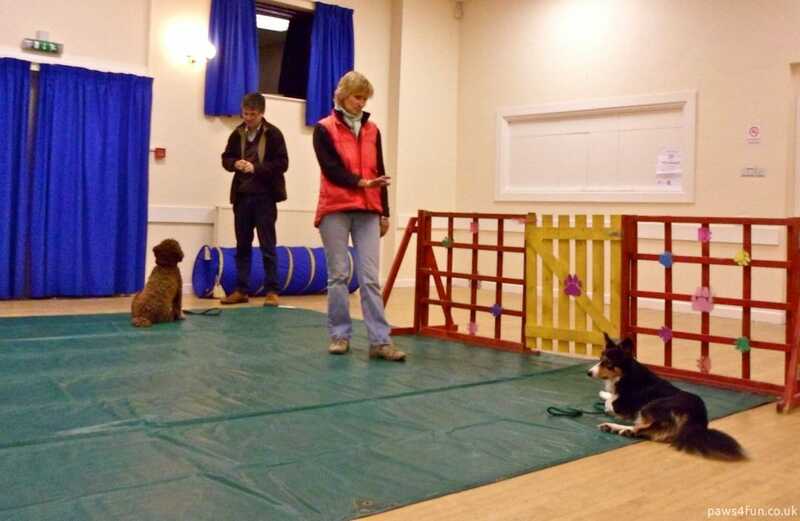 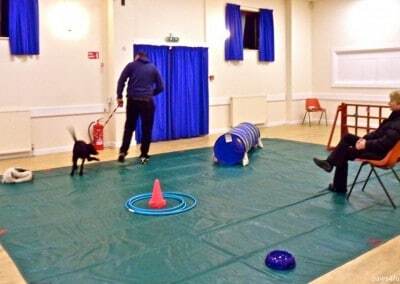 Our Junior course is aimed at dogs aged between 19 weeks and 9 months, a critical period in a dog’s life. 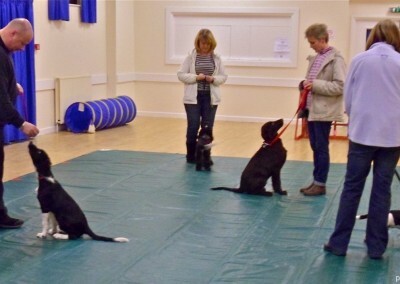 Dogs are social animals that need our guidance to help them live by our human rules happily, without confusion or stress. 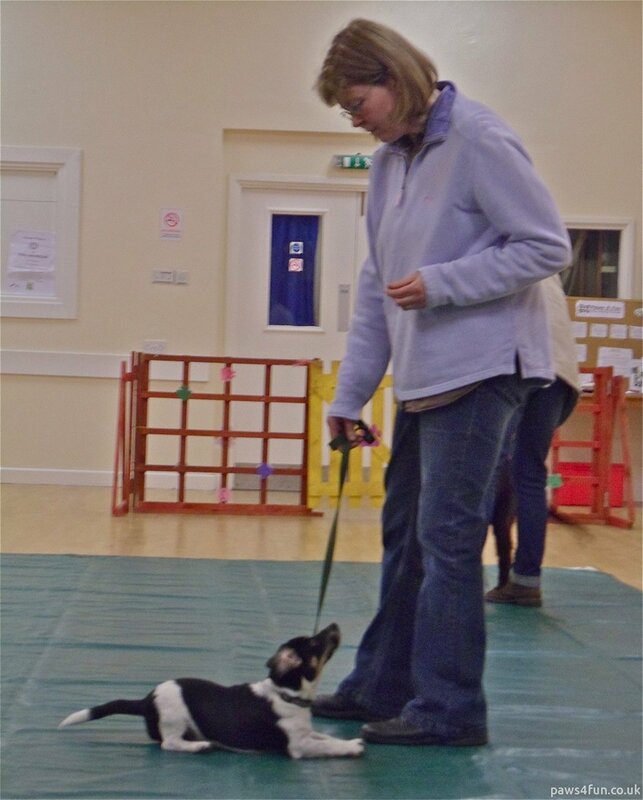 Providing a sound foundation of obedience and manners whilst your dog is still young will make life so much easier, more pleasant and safer for everyone. 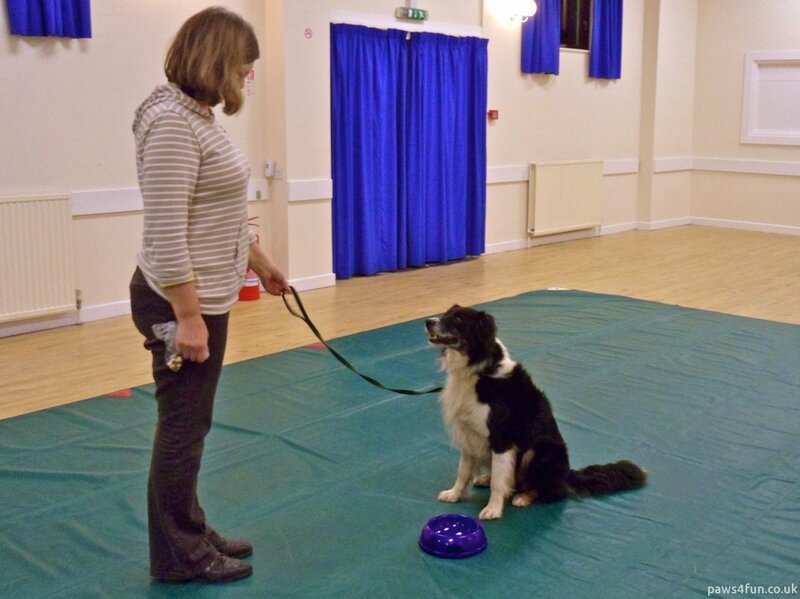 Through a variety of fun exercises you will teach your dog that walking nicely by your side, happily coming when called, etc. 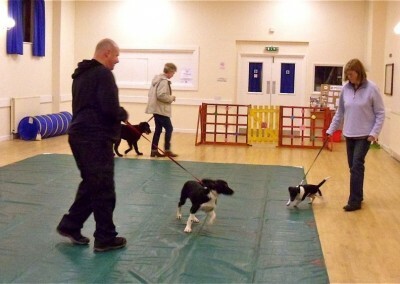 is a rewarding and enjoyable thing to do. 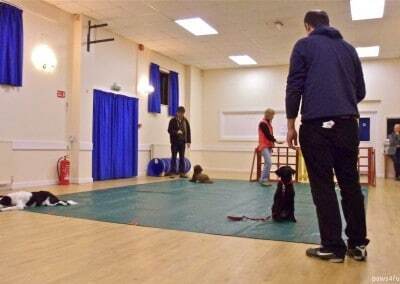 This course is ideal for dogs new to training, but also to improve and progress any previous training. 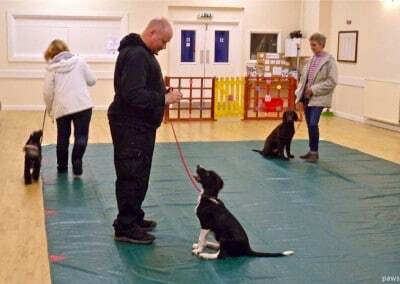 This may include those who have attended our Puppy Foundation course, have attended sessions at their vets or at other puppy classes, or done some initial training at home. 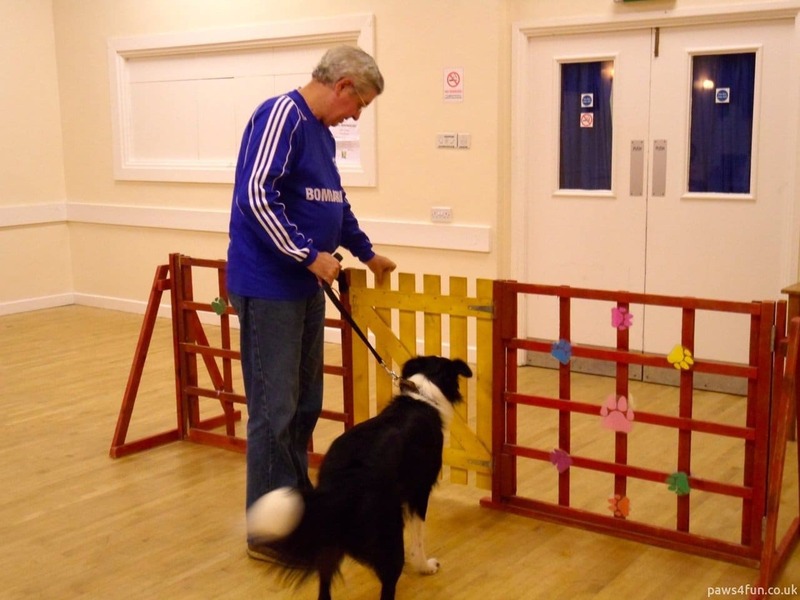 These classes introduce exercises to further develop basic skills. 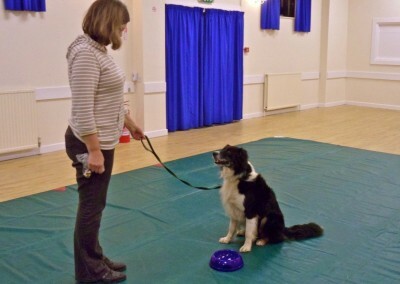 We will demonstrate ways to motivate your dog to become generally more responsive to you and your commands, which will help to build a stronger, more trusting bond between dog and owner. 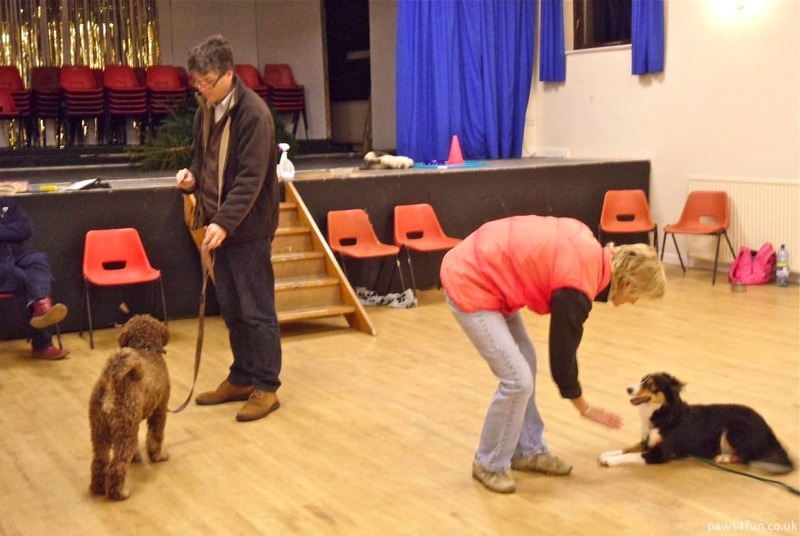 Weekly handouts are provided to give general information and to guide you through the course. 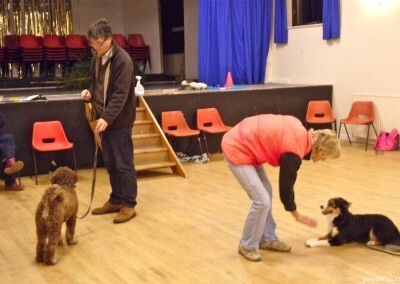 There is always plenty of opportunity to discuss and work on any specific issues that need improving. 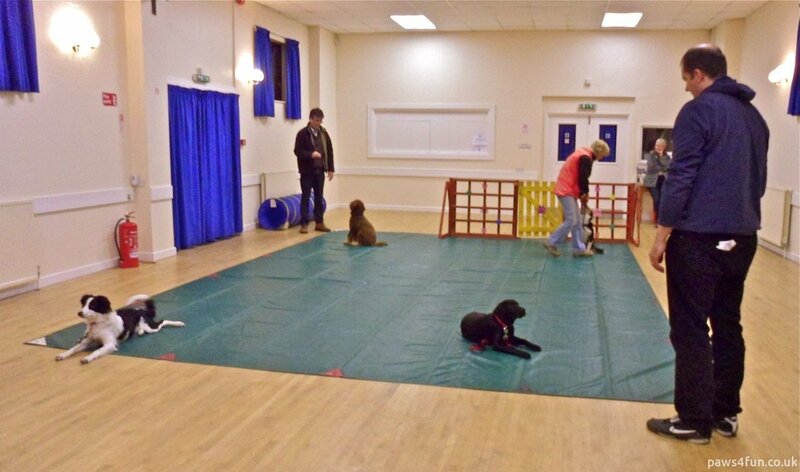 Places on the Junior Foundation course are limited to give everyone the attention they need. 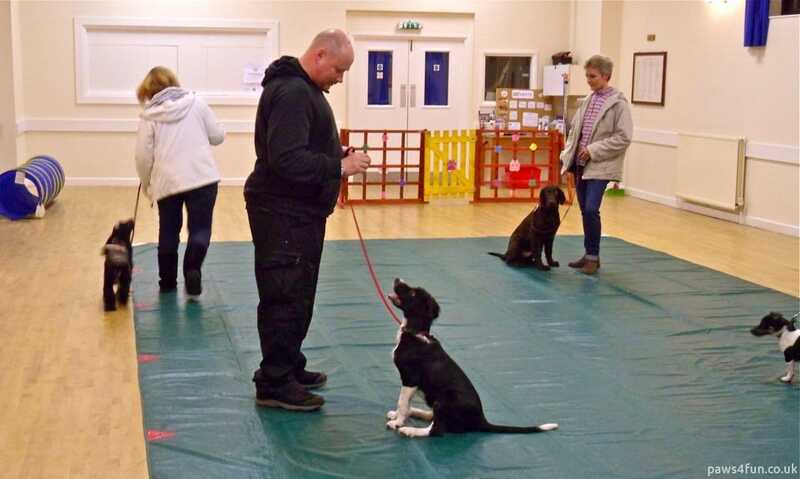 This course can fill-up quickly, so please don’t leave booking until the last minute, but do contact us to check any late availability as places sometimes become available. 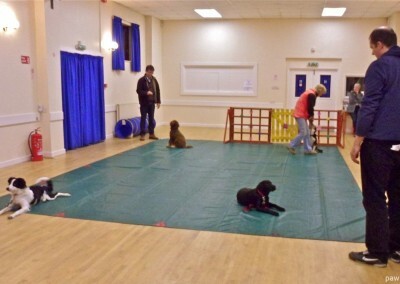 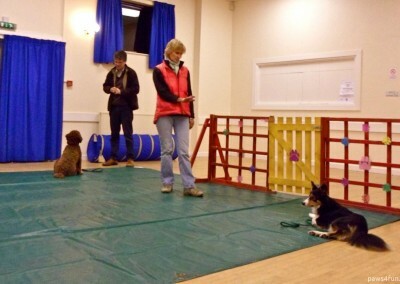 For dogs aged between 19 weeks and 9 months at course start. 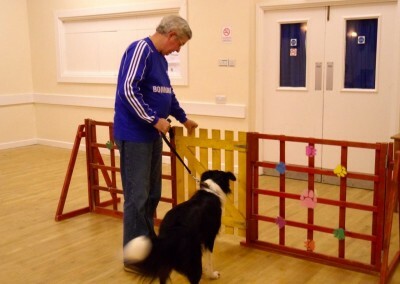 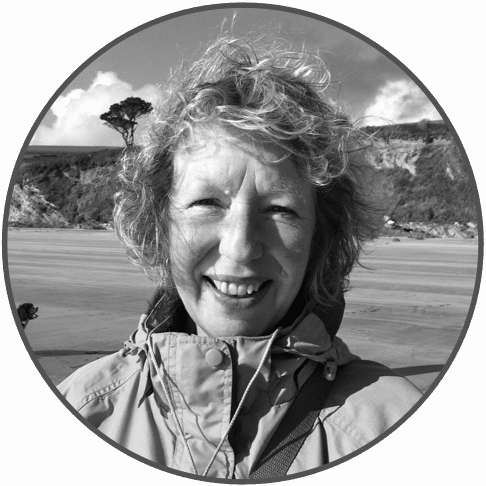 Includes 6 classes held on Monday evenings from 6.00pm to 7.00pm.